Participants in the rally are outraged that the names of the criminals have not yet been made public. About 100 people have staged a rally at the intersection of Bankova Street and Instytutska Street in Kyiv demanding that Ukrainian President Petro Poroshenko dismiss officials suspected of ordering a deadly attack on anti-corruption activist Kateryna Handziuk. There were friends and relatives of the victim among them, an UNIAN correspondent reported. The event was organized because Ukrainian law enforcement agencies had not identified those who ordered her assassination three months after her death. 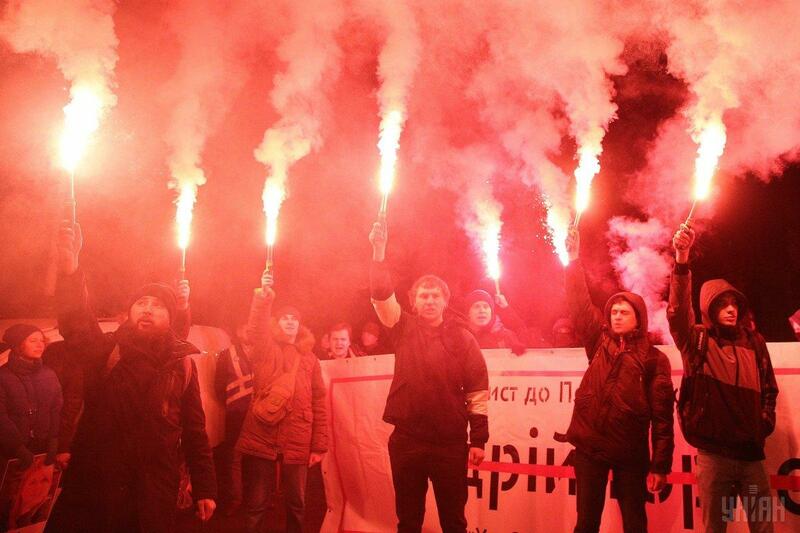 The organizers of the rally are convinced that there is every reason to consider that members of Poroshenko's party and Yulia Tymoshenko's Batkivshchyna Party are among those who are involved in the attack. 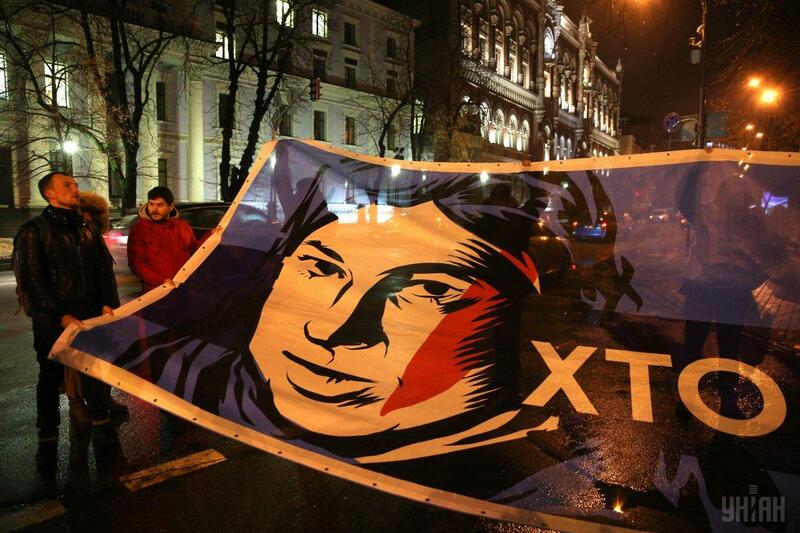 Activists were holding banners with the question: "Who Ordered [the Attack on] Katya Handziuk?" Participants in the rally are outraged that the names of the criminals have not yet been made public and the perpetrators have not been held criminally liable. 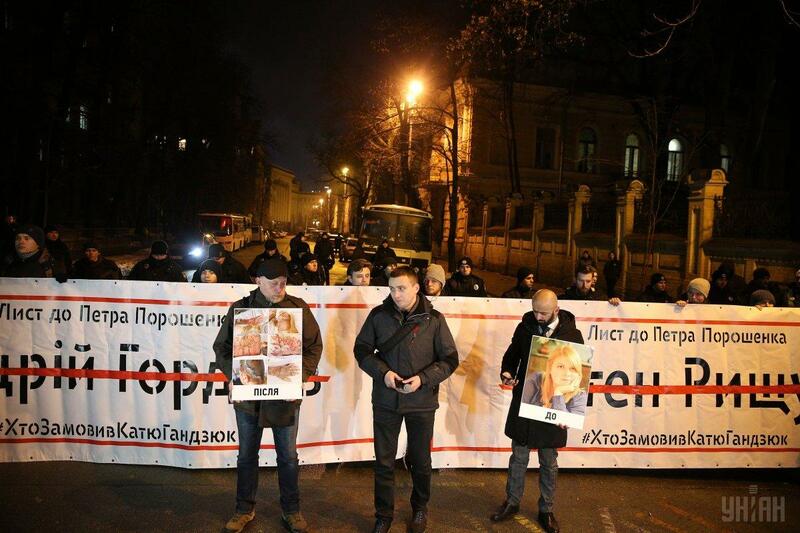 The banners had the names of Kherson Regional State Administration Andriy Gordeev and his deputy Yevhen Ryshchuk, crossed out by the red line. According to the activists, those officials hold positions at Kherson Regional Administration and are member of Petro Poroshenko's Solidarity Party. They also claim Chairman of Kherson Regional Council Vladyslav Manger, who is a member of the Batkivshchyna Party, is also involved in the attack on Handziuk. The activists are convinced of the involvement of Gordeev, Ryshchuk and Manger and outraged that the men have not yet been dismissed from their posts. 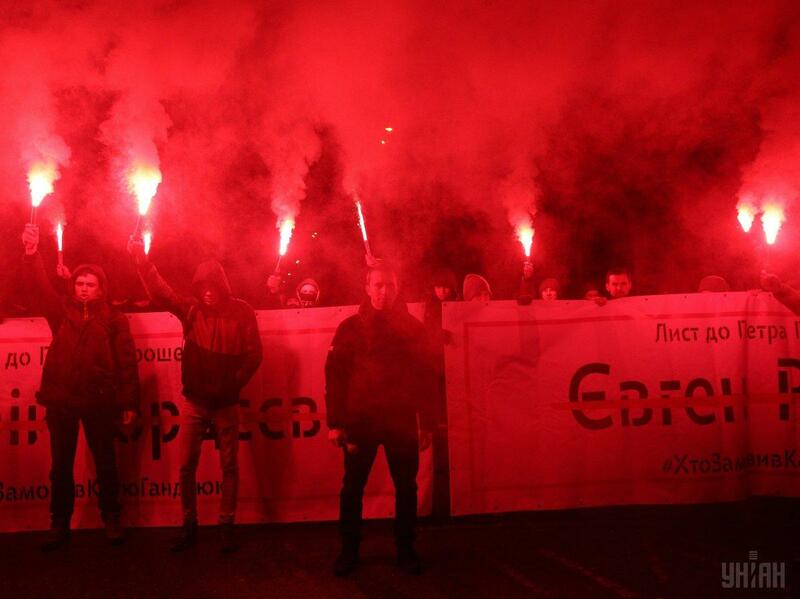 During the rally, activists lit about 10 flares and unfurled a large poster with a portrait of the murdered activist from Kherson with the cation: "Excuse us, so who ordered [the attack on] Handziuk?" They chanted this question along with the slogan: "Payback is waiting for every killer." Members of the dialogue policing unit were monitoring the rally. 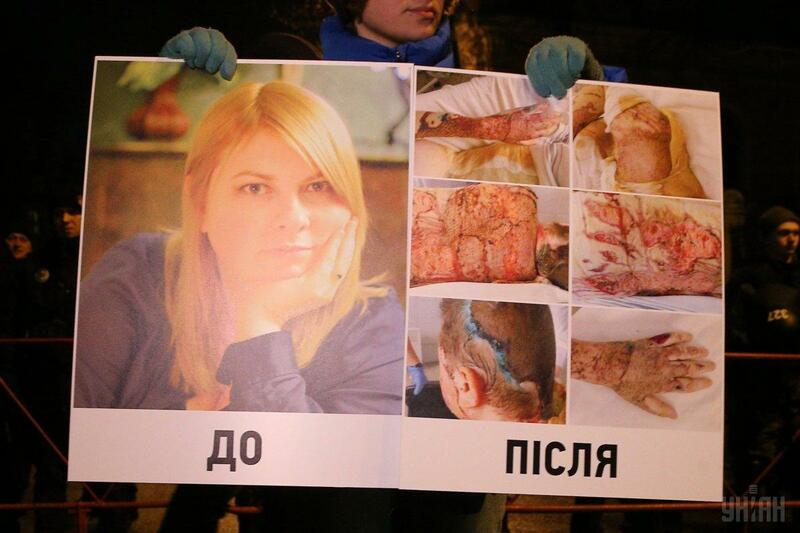 She suffered horrific burns to more than 35% of her body and underwent 11 operations in Kyiv to treat her horrific injuries. Six suspects were detained, one of whom, Mykola Novikov, was later released from custody as charges against him were dropped. The alleged organizer of the assassination, Serhiy Torbin, and Mykyta Hrabchuk, another suspect in the case, are in custody. On November 5, the media reported that Torbin had allegedly received money for the attack on Handziuk from Ihor Pavlovsky, an assistant to Member of Parliament from the Petro Poroshenko Bloc parliamentary faction Mykola Palamarchuk. Palamarchuk in turn dismissed any accusations of his possible involvement in the assassination attempt on the activist. He also said he had dismissed Pavlovsky. 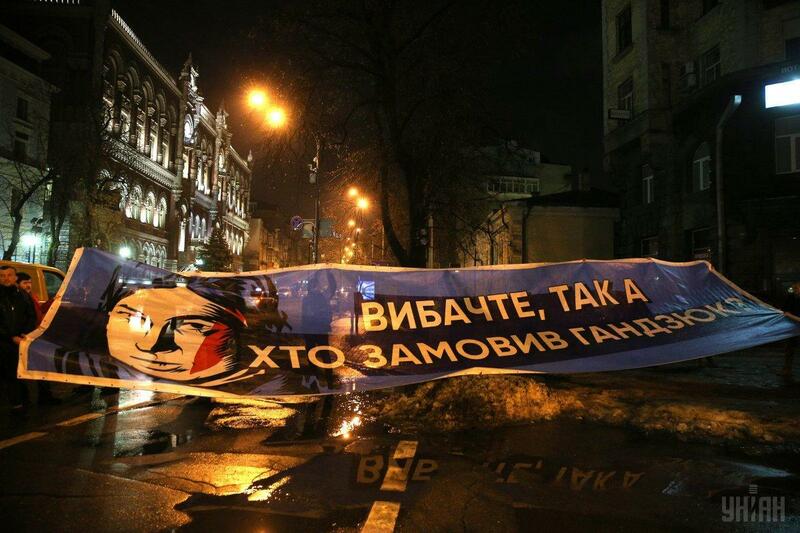 On November 12, a court detained Pavlovsky. 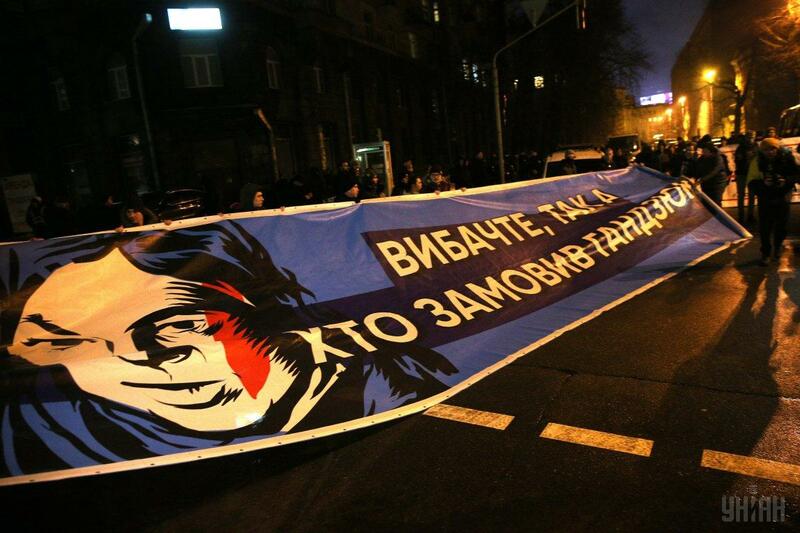 According to the SBU Security Service, he is suspected of complicity in the Handziuk murder. Chief Prosecutor Yuiry Lutsenko announced on December 3 that the investigators had identified all the individuals who had ordered the assassination. He also named Oleksiy Levin who later was placed on the international wanted list on December 10, 2018, on suspicion of involvement in the Handziuk assassination.